Dr. Gayle Tate visited the Teen Advisory Group at the Adams Memorial Library. 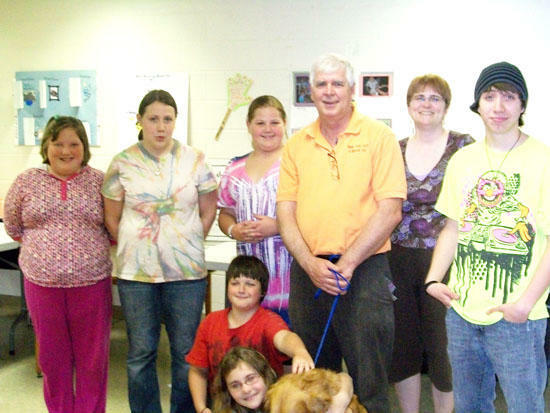 Dr. Tate and his dog Kasey stopped by Thursday afternoon as a guest speaker to speak on life as a veterinarian. The Teen Advisory Group meets every 2nd Thursday of every month at 3:00 P.M. at Adams Memorial Library.